I was wasting another night in the dark, moldy basement of my parents’ house. My parents had recently purchased an expanded cable package because I threw a fit that they took away my Fuse. (Before you judge me, let me just say that Fuse used to be a really cool channel that played music videos from all sorts of different styles of music and it taught me a lot about the history of punk, no wave and various other music movements that I was too young to experience for myself. Fuse is no longer like this unfortunately, which annoys me to no end.) So we got all of these channels that we never had before. Things like the Military Channel (something my father watched, not me), TCM, and Bravo. But most importantly we also got a little channel called IFC. IFC is probably pretty familiar to you now, but this was back when the channel had recently launched and there was still no commercials. I flipped to this channel and saw something that immediately caught my eye. A beautiful Asian woman in a form fitting Chinese inspired dress was leaning against a wall with her head bent down. A man in a sharp suit stands next to her and is wordlessly comforting her. A song floats through the air of this scene as if it was interpreting their thoughts. My breath was lost because of this truly gorgeous scene that I was watching. After a minute or two, the man and the woman began to move and talk like a normal film. But for that one moment, they were still and that was all it took to change my life forever. Despite me coming into the movie about halfway through and not really understanding what the concrete plot points were, I knew that I loved this film. What’s more is I knew that this film had changed something inside me. I watched as the man and woman expressed uncontrollable passion for each other, as the director created images that seemed to be painted onto the screen, as the smoke from a cigarette curled into a fluorescent light as the man sat at his typewriter. All of these images triggered a fascination for the moving image that hadn’t been there before I turned the television to this channel. I knew that what I was watching was more than entertainment, it was art. Art that truly moved someone to tears as they separated from each other one last time. Art that could explore what it felt like to be truly loved, to have conflicting feelings and the need to suppress your passion for fear that the other one did not share the feelings that you had. This movie was all it took to stimulate a passion for the moving image in me. 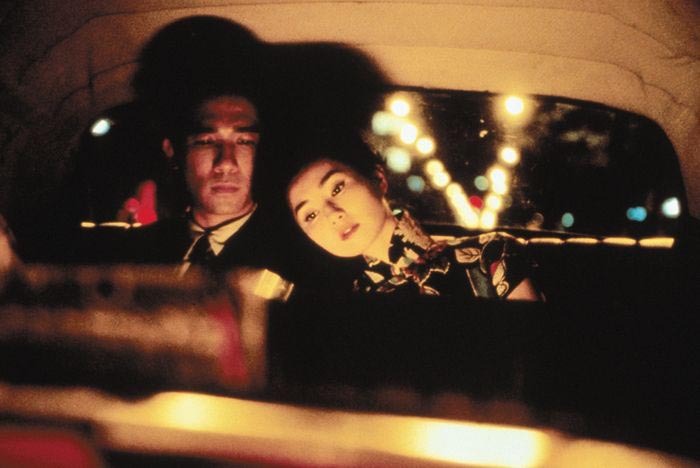 After watching In the Mood for Love, I began to seek out foreign, independent and classic movies with such a fervor that my parents worried about me always being inside. I began to research and learn about the history of film, about how to make a movie and how to effectively tell a story. I even started writing little stories of my own that I hope will one day make it to the big screen. My passion for film started with a single image, but blossomed into an all encompassing path that gives my life meaning. You may be reading this and think that I am truly crazy and weird and you are probably right. But I would rather be crazy and weird and have a passion in my life, then to go through life without anything for me to hold onto. I love film and I hope I always will.